The Breed Association supports research work on genetic selection on hill farms in Scotland and Northern England. Its aim is to improve carcase quality, while retaining the character required for survival and efficient hill production. As well as this, there are breeders involved in both Sire Reference groups and breed improvement projects. In 1998, the Highlands and Islands Sheep Strategy (HISS) was launched. 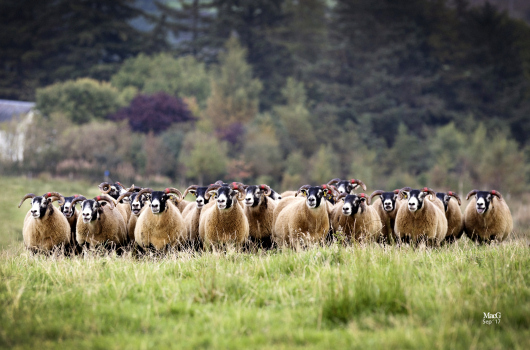 This is a major £1.16 million investment to improve the financial viability of hill sheep producers in the Highlands and Islands by improving the quality of lambs in line with market requirements. The major partners in the Strategy are the Blackface and North Country Cheviot Sheep Societies, the Meat and Livestock Commission, and Highlands and Islands Enterprise. HISS is part funded by SERAD and the European Commission.